Plenty of stores make a whole lot of sales on Black Friday and Cyber Monday. If you run a popular online shop, chances are your customers expect you to have deals on those occasions. The Black Friday Mode Plugin for WooCommerce can help. It works with free and paid themes and lets you offer discounts for Christmas, Easter, Cyber Monday, and any other occasion. The plugin is highly customizable. 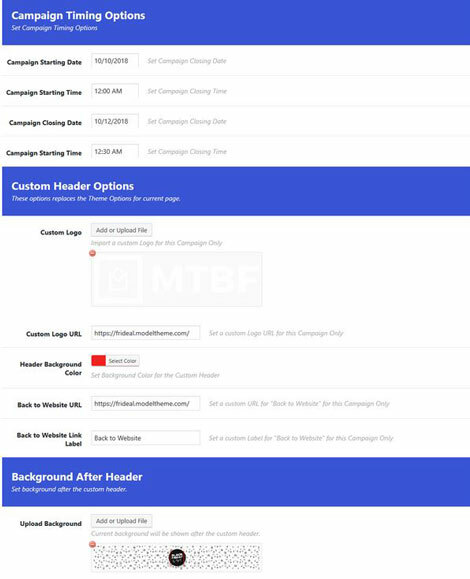 You can change header options, background, body styling, campaign timing, and other settings from the back-end. The campaigns can be applied to specific categories. The Black Friday Mode plugin for WooCommerce is a paid script from modeltheme.